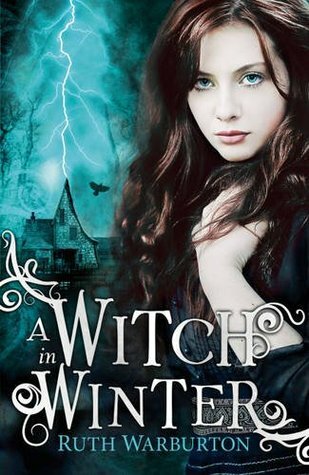 From Goodreads: "Anna Winterson doesn't know she's a witch and would probably mock you for believing in magic, but after moving to the small town of Winter with her father, she learns more than she ever wanted to about power. When Anna meets Seth, she is smitten, but when she enchants him to love her, she unwittingly amplifies a deadly conflict between two witch clans and splits her own heart in two. She wants to love Seth, to let him love her – but if it is her magic that's controlling his passion, then she is as monstrous as the witch clan who are trying to use her amazing powers for their own gain. 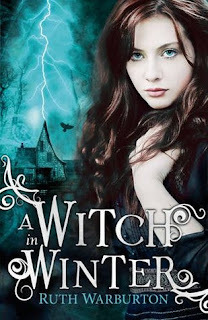 Although a perfect fit for the paranormal romance genre, A WITCH IN WINTER avoids fangs, excessive body hair and submissive female leads, and tells the heart-wrenching story of a couple meant to be together, but being forced apart. Seth is utterly irresistible and Anna is an empowered, proactive young woman with unimaginable magic inside her. This is fast-paced, sensuous writing with believable incantations inspired by Warburton's research into witchcraft legend and old English"
I won this book in a giveaway hosted by the author, Ruth Warburton on twitter, so I would like to say thank you! Receiving a free copy of this book does not influence my review. I thoroughly enjoyed this book! Though it did take a lot longer to read than I would have liked. This had nothing to do with the writing or the story, purely because I was so busy that I didn't have much time to read. Anna is a witch. A witch who doesn't believe in witches. When she moves to a small town and into 'Wicker House,' things start to change. Anna experiences crazy storms and finds a very unusual book, and manages to enchant a boy into loving her. Sounds juicy right? Well it is. Anna is a great female lead. She has been without a Mother most of her life and she has turned out just fine. Though she wishes that her Dad would tell her what happened or even more about her Mum. Especially once she finds out she is a witch. She manages though, finding a clan that are willing to help her and in turn she is willing to help. When it comes down to it, she will put her life on the line to save her new town and her new friends. Seth, oh lovely lovely Seth. The boy with the bad reputation. The same boy that Anna casts a love potion on. A nice twist to the story as we think that he is in love with Anna because the spell, while towards the end we aren't sure. There are also questions raised about who Seth is. Upon meeting one of his relatives who tells Anna to leave them alone her type aren't good for them. So there are many questions to be answered in the second instalment! Overall this was a fast paced, action packed, filled with boy drama novel that Ruth Warburton has managed to carry out very well. She has done an amazing job creating a unique and very intriguing story that kept me hooked the entire way! Can't wait for the second book! What are you all currently reading? I'm on a book buying ban so I will be living vicariously through you until I finish my TBR pile!! Ooh I really want to read this one. Witched are my fav paranormal stories and it sounds amazing. I love strong female protags! Wonderful review My dear! A book buying ban is a good idea too. :D I'm going to try that one or steer away from the mall too is another one. Tsk. I ended up buying another one from my mall trip. Yikes. Congrats in winning the book. This seems to be a interesting read and will be looking out for it once I lifted my book buying ban which could be five months from now. I hope so. :D Happy weekend.